Color tends to be a cream or pinkish brown color, but can also have dark red patches. 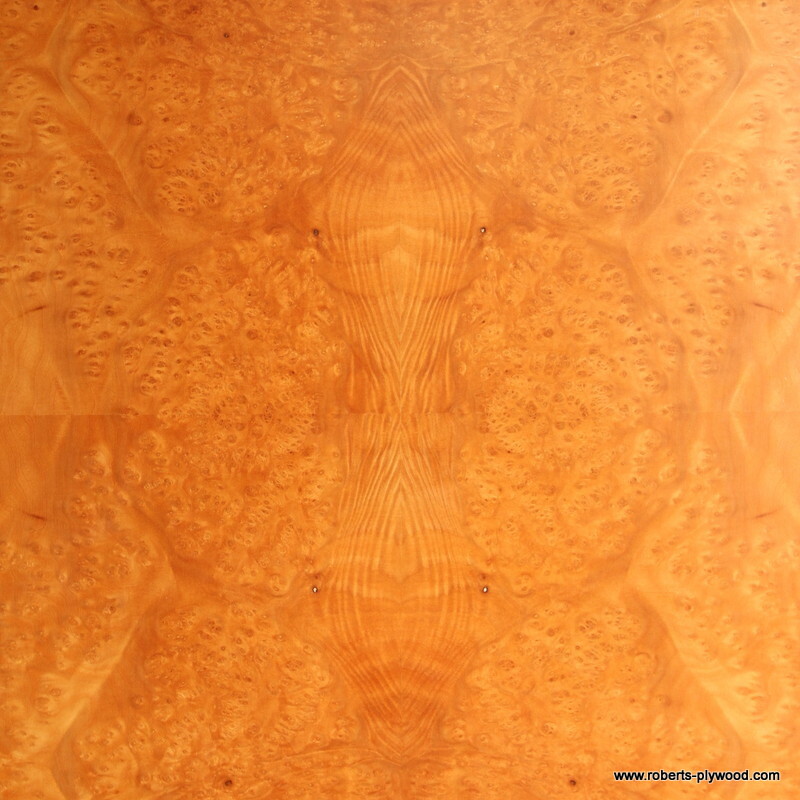 Madrone is known for its burl veneer, which has many closely-packed clusters of knots and swirled grain. Uses - Madrone is easy to work with machine and hand tools, and compares similarly to Hard Maple in working characteristics. The wood can be difficult to dry, and has a tendency to warp or twist. Madrone is an excellent turning wood, and also takes stains and finishes well.